The USA did not lead the world into WWII, as William Branham prophecied. 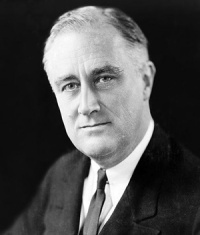 In fact, the United States stayed out of the conflict until 1941 when Japan attacked Pearl Harbor. It is not clear how William Branham omitted this fact, as he preached about Pearl Harbour a number of times, condemning the soldiers for their revelry.